Right-wingers see political agenda in blockbuster, but so what? "Avatar" topped $1 billion at the box office, and is on pace to break the record set by "Titanic." James Cameron’s "Avatar" has become a colossus, raking in $1 billion within its first five minutes of release. Everyone is going to see it: Men, women, kids, grandparents, neighbors, cousins, llamas. There is, seemingly, no demographic averse to the space epic’s charms. There are tons of… grumpy conservative broadsides against the film, but I'll spare you the details, except to say that Cameron's grand cinematic fantasy, with its mixture of social comment, mysticism and transcendent, fanboy-style video game animation, seems to have hit a very raw nerve with political conservatives, who view everything -- foreign affairs, global warming, the White House Christmas tree -- through the prism of partisan sloganeering. Goldstein quotes from well-known conservative pundits like Ross Douthat, John Nolte, and John Podhoretz, all of whom decry the film as a liberal propaganda against supposed American military imperialism and naked economic greed, with a strong pro-environment message at its heart. Cameron has made no secret that "Avatar" is a movie that coincides with his political leanings. So the likes of Nolte and Podhoretz are correct in saying the movie has motives beyond simply entertaining you. But really, they’re fighting a losing battle here. Most people who go see "Avatar" don’t care about its politics. They care about seeing blue aliens in 3D. It’s a movie designed, first and foremost, to entertain. The next person to join the Peace Corps as a result of seeing "Avatar" will be the first, I assure you. Spending time picking on stuff like this, fighting the eternal culture war, is a waste of time for conservatives. First off, it makes them look like joyless whiners. What’s the endgame? 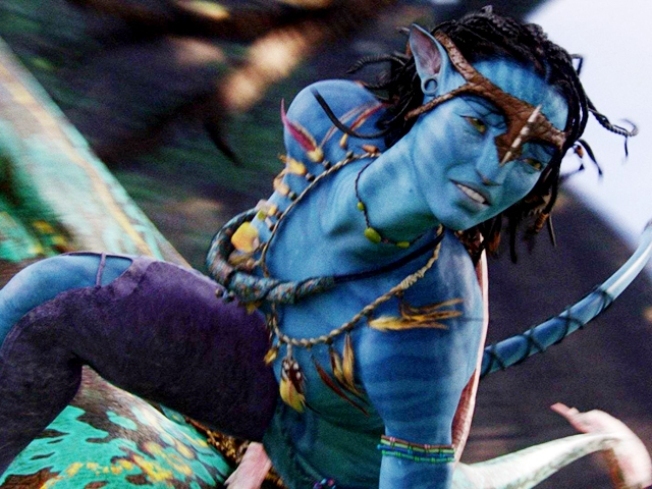 Would you like "Avatar" to be banned from theaters? No? Then what’s your point? It’s not as if Hollywood will ever STOP being liberal. In fact, there’s little doubt that Cameron delights in making Republican blood boil. On the flipside, many liberals are ALSO criticizing the movie for allegedly making its aliens a blatant echo of tribal Africans on Earth. It just goes to show you: any film that grosses a billion dollars is bound to displease folks out there who occasionally forget that sometimes a movie is just a movie, and little more.